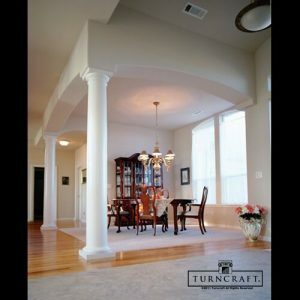 Turncraft manufactures the world’s finest columns and posts, and all Turncraft products are manufactured in the U.S.A. at company owned factories. Experienced craftsman make the molds used for the columns and posts all the way through the finished production process. No other manufacturer provides as many selections as Turncraft. 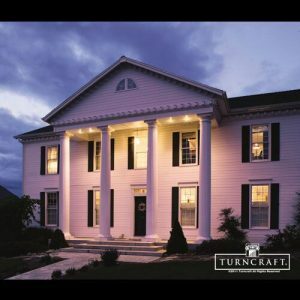 Long known for its proud line of Wood Colonial Columns and Turned Wood Porch Posts, Turncraft has now become a leader in advanced material construction products. 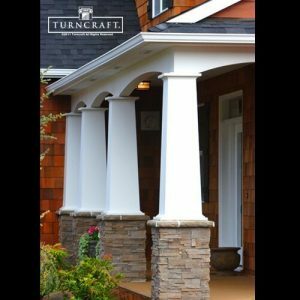 Since manufacturing our first column in 1963, architects and builders have chosen Turncraft columns because of our thoughtful design, exceptional materials, fine workmanship, superior assembly and extensive selection. Precise historical research and authentic architectural specifications reflect our dedication to the quality you can expect from all of our products — from in-stock columns to custom-built solutions. 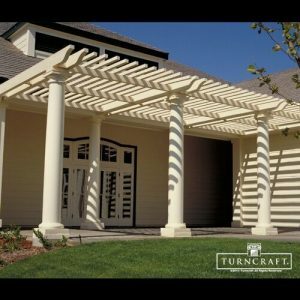 For homeowners, builders and architects who will not settle for anything less than the finest materials and craftsmanship, Turncraft offers the architectural columns, posts and railings of choice. Beautiful. Durable. Versatile. Functional. Available in class as well as contemporary choices to compliment any style. Real Wood Architectural Columns in almost any wood type. Southern Window Supply has one of the broadest product selections in the Birmingham, Alabama area. Our highly trained staff can provide the help you need to obtain the perfect windows, doors, and other items to make your property look outstanding and have great functionality. To get started please use the Contact Us page, or call us directly at (205) 945-9832. We want to help make your project a success.